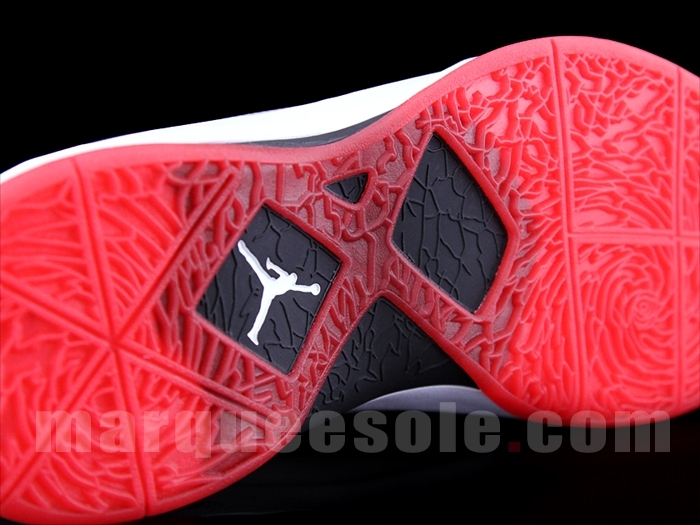 First Look: Jordan Fly Wade - "Infrared"
Our first look at the sneaker that may be Dwyane Wade's home footwear option during the NBA playoffs. 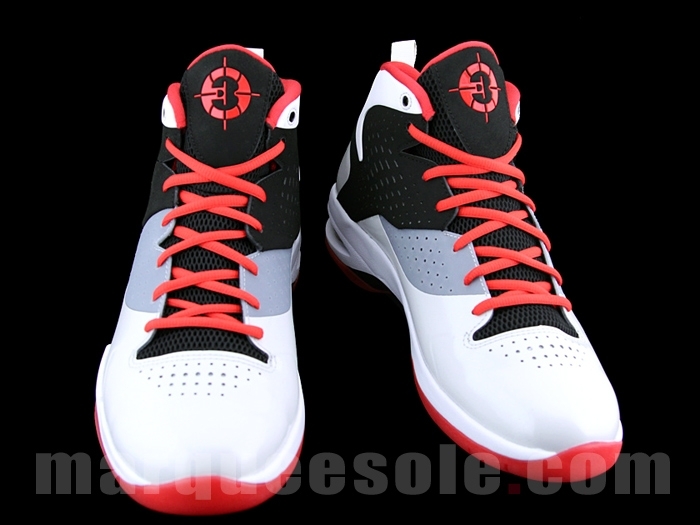 Last week, we got our first glimpse of what is expected to be Dwyane Wade's first Jordan Brand signature shoe and playoff footwear of choice - the Jordan Fly Wade. 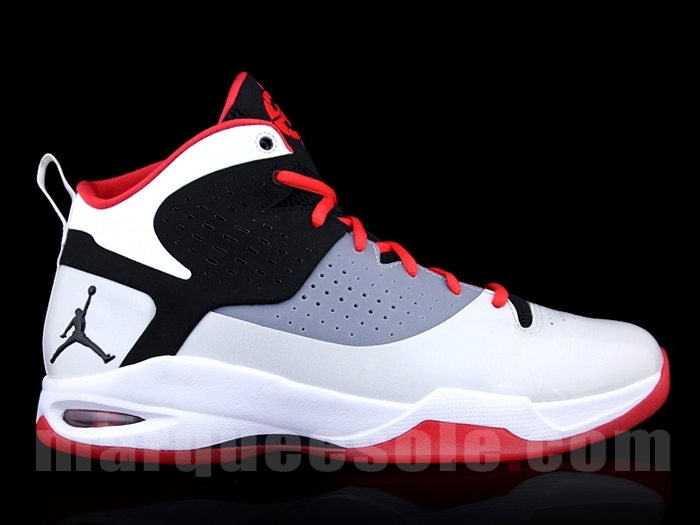 Featuring design cues likened to the Air Jordan 2011, the mid-cut shoe features perforated side panels, rear Jumpman branding, visible Max Air in the heel and a similarly patterned outsole to the Jordan flagship. 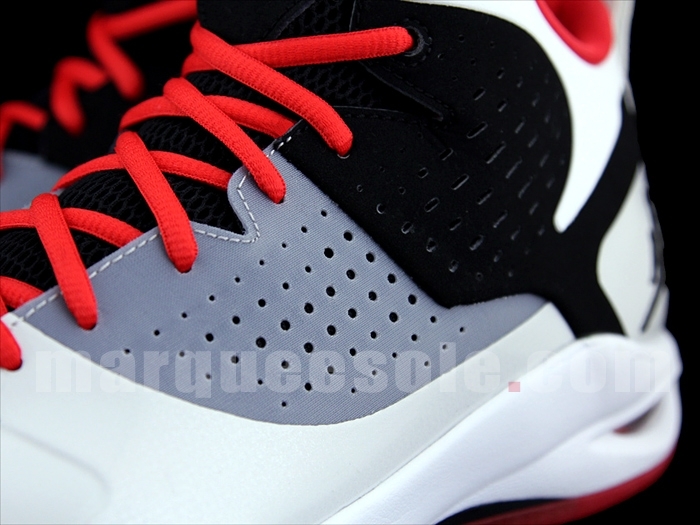 This pair, which acts as the "home" look in contrast to the pair previewed last Friday, features a white leather upper, grey and black nubuck side panels and vibrant infrared hits on the laces, inner liner, Air unit and translucent outsole. 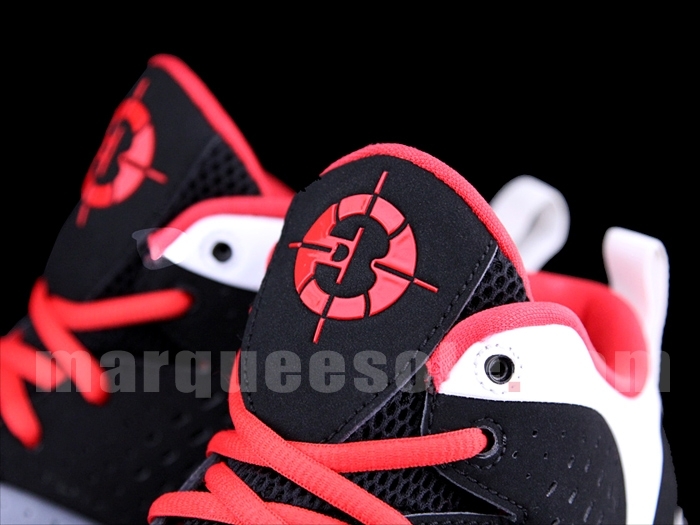 Once again, we see Wade's new 'D3' crosshairs logo centered on the tongue of each shoe. Available now in a few sizes at MarqueeSole. 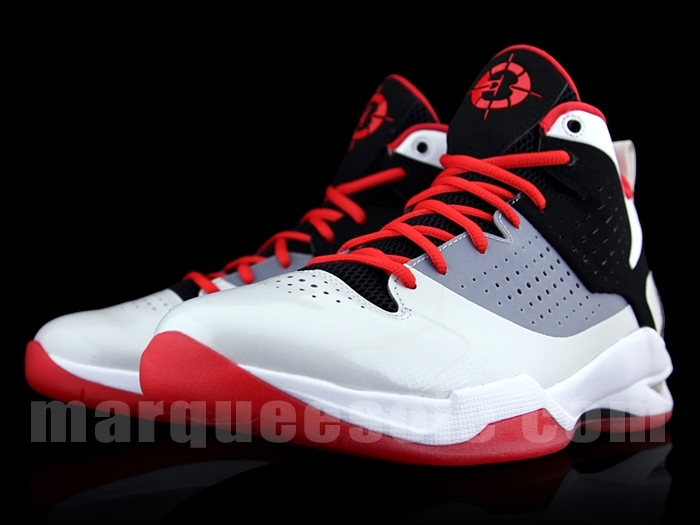 Stick with Sole Collector for continued updates on the new Wade shoe.